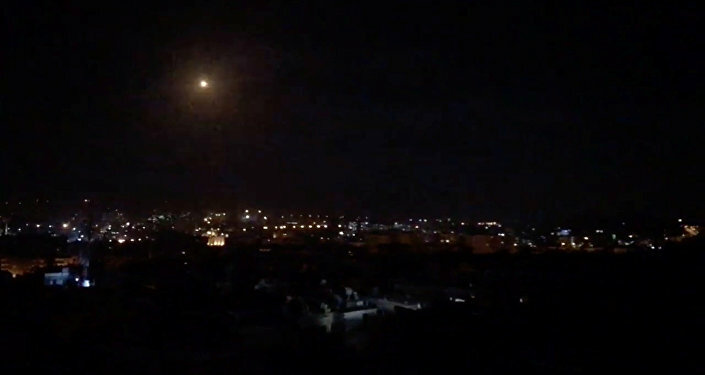 The Israeli Defence Forces (IDF) has stated that it targeted alleged "military facilities of [Iran’s] Quds Force" at Damascus International Airport in an airstrike conducted on 21 January. Iranian Air Force Commander Brigadier General Aziz Nasirzadeh told the Iranian news agency Young Journalists Club that "current and future generations [of air force pilots] are impatient and ready to fight against Israel and eliminate it from the Earth". He added that Iranian student pilots are currently acquiring the necessary knowledge to be prepared "for the promised day to destroy Israel". Israeli Prime Minister Benjamin Netanyahu said in wake of the statements that those who threaten Israel and vow to destroy it would bear "full responsibility". He added that the recent Israeli airstrike had targeted not just Iranian forces allegedly stationed in Syria, but also the Arab Republic's contingency supporting them. Nasirzadeh's statements come in wake of a recent Israeli Air Force airstrike in Syria. An IDF spokesperson stated that the Israeli Air Force had targeted "military facilities of [Iran's] Quds Force" allegedly deployed in the Arab Republic. Syrian air defences intercepted most of the missiles, while according to Russia's defence control centre, four Syrian servicemen were killed and another 6 injured in the attack. Israeli Prime Minister Benjamin Netanyahu on 15 January urged Iran to "get out of [Syria] fast", warning that Israeli airstrikes against Tehran's alleged military targets would continue. The head of the Islamic Revolutionary Guard Corps, Mohammad Ali Jafari, responded by saying that Iran would keep "its military advisors, revolutionary forces and its weapons" in the Arab Republic, despite the Israeli threats. He also cautioned Tel Aviv against "playing with the lion's tail", promising that otherwise Iranian missiles would "roar and fall on [its] head". Israel has been carrying out airstrikes on Syrian territory over the last few years, claiming that they are targeting Iranian and Hezbollah forces and warehouses. Tehran and Damascus have condemned the Israeli airstrikes on the Arab Republic on multiple occasions, calling on the international community and the UN to put an end to the air raids.